As the wine world continues to diversify itself, wine lovers are treated to new and exciting experiences curated by experts and professionals who love to talk all things wine. After wholesale distributor Alicia Maria took her first sip, she knew there was something more worth exploring. 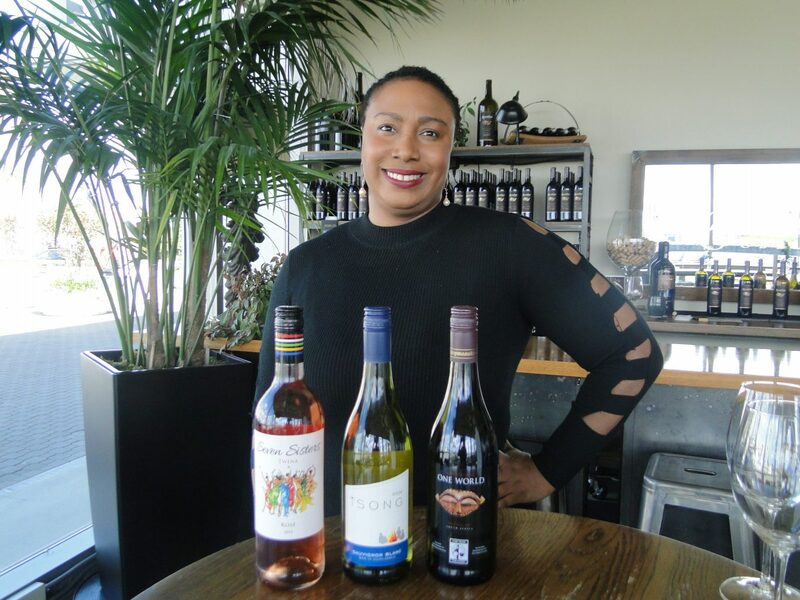 The Oakland native started her company, The Wine Noire, years later as a boutique import/export distributor specializing in New World wines as well as selections from France. “I would bring wine [to gatherings] and talk about it even if I was not an expert. So I got the opportunity to say, ‘Okay what are the gaps that I can fill, especially being a woman, in the wine market.” A training educator by profession, she began taking her interest a step further and became an ambassador for the Boisset Collection, an entrepreneurial platform that allows individuals to earn income marketing and selling limited production wines. With visions of owning a vineyard and wine label deferred by not denied, Maria soon began looking for the next opportunity to take what was now a passion yet another level. That is when she meets Selena Cuffe of Heritage Link Brands. “When she saw her presentation, I said I want to be like her because I love it when I see black entrepreneur women who are multi-faceted,” says Maria referencing their initial meeting last summer at the Oakland Wine Festival. Cuffe, who successfully craved her niche in the industry by importing, exporting and distributing wines by black South African winemakers, provided the opportunity and mentorship for Maria to fill a gap in the Bay Area’s wine scene. “My company is a young company and we specialize in South African, Brazilian, French, and California wines,” says Maria. “My goal as a black woman is to sell wines to people of color, especially African-Americans to up our palette.” In other words, sweet wines are great, but Maria is on a mission to share the wonderful tasting notes of reds and whites. Working together with Cuffe, The Wine Noire is just getting started with a current distribution portfolio to include a sauvignon blanc by M’Hudi Wines, a rosé by Seven Sisters and pinotage by One World; all from South Africa. Also, Maria represents the Brazilian label Casa Valduga. With her clientele list comprised of businesses such as restaurants and hotels versus direct consumer, Maria’s preparation and presentation are different and requires more research. Looking at menus and wine offerings provide insight into what will be attractive and what will not be from her portfolio. Once the business signs on to carry the wines, Maria offers staff training to ensure the team is knowledgeable and comfortable presenting selections to its customers, thereby making a successful full circle transaction. This year, the focus is on growing the company’s list of clients while expanding her team with administrative and sales support. Maria also has her eye on expanding internationally in the future with Africa, more specifically in Ghana and Rwanda, cited as countries of great opportunity. And that vineyard that she wants to own and produce wine will always be in the back of her mind. After all, it is all about timing. Although her company is less two years old, Maria has a significant enough portfolio to keep busy. When she can, she looks forward to working with other black and brown wine labels that should not be seen as “exotic” but instead producers of wine that rival many from the Old World and their fellow New World comrades at best. For more information about The Wine Noire and Alicia Maria, visit http://www.thewinenoire.com. You can also follow her on Instagram and Facebook.